Want a Cheap Flower Pot? Reuse items to plant flowers. I never purchase a new flower pot. I will use items I find at home or buy from rummage sales. 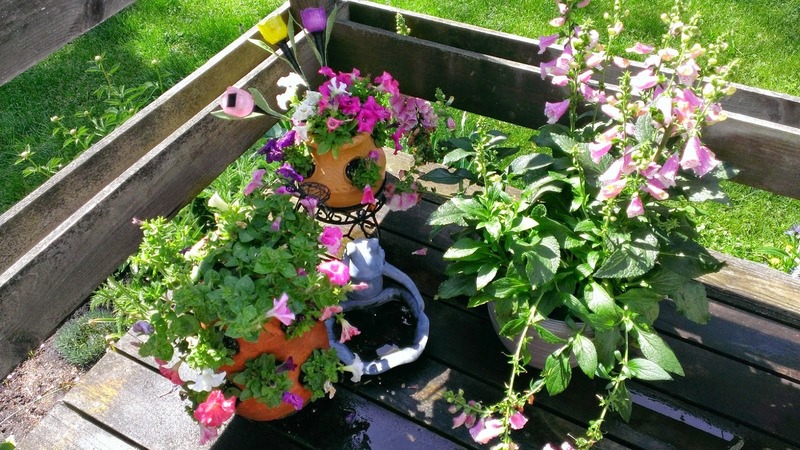 It is amazing how cheap flower pots are at rummage sales. I have some very very nice pots that were less than a buck at a rummage sale. Also, lawn art is cheap at rummage sales! Those are some great money saving tips! I love when I can find the really big coffee mugs at Yard sales! They make great flower pots! Thank you for sharing! These are so cute! Love them. I can't believe how expensive those are in stores. Definitely use alternative ones here. My favorite is an old cracked chamber pot!